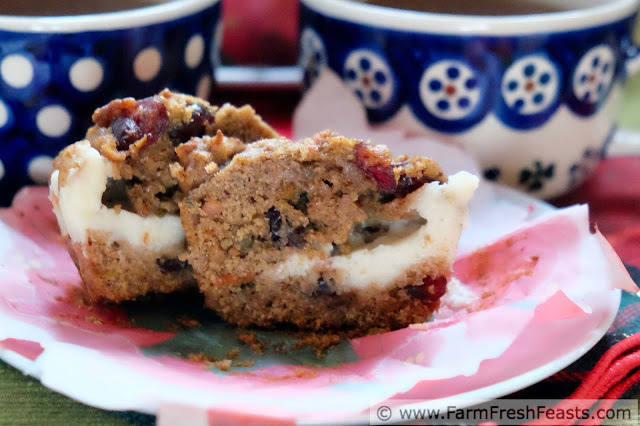 This festive-yet-healthy muffin, with carrots, dried cranberries and pistachios, has a sweet surprise on the inside--cream cheese filling! I'm always looking to add vegetables into baked goods. I think they add moisture, flavor, and nutrition to my family's table. 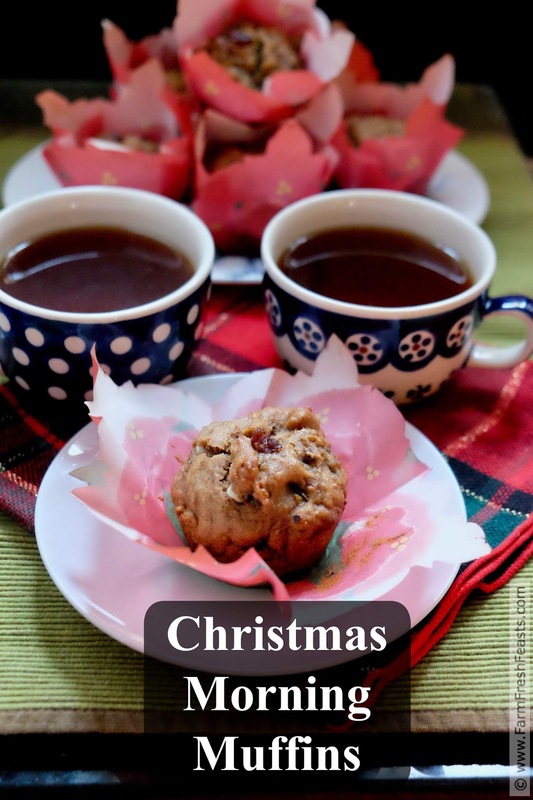 Muffins are an easy delivery method because they assemble and bake so quickly. My kids are happy to eat muffins for breakfast and for an after school snack. 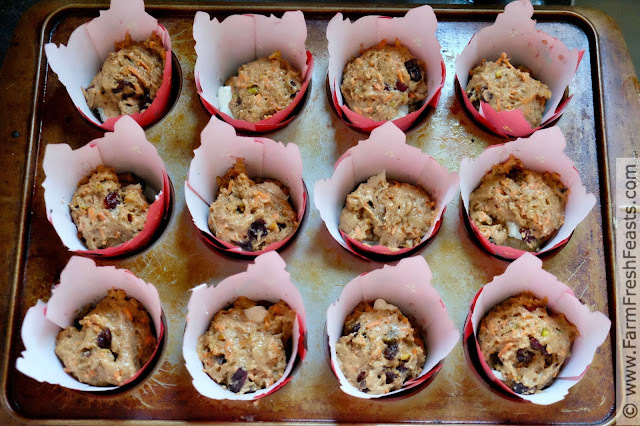 For this month's Muffin Monday, I bring you a recipe that is both festive--with the bits of red dried cranberries and green pistachios. 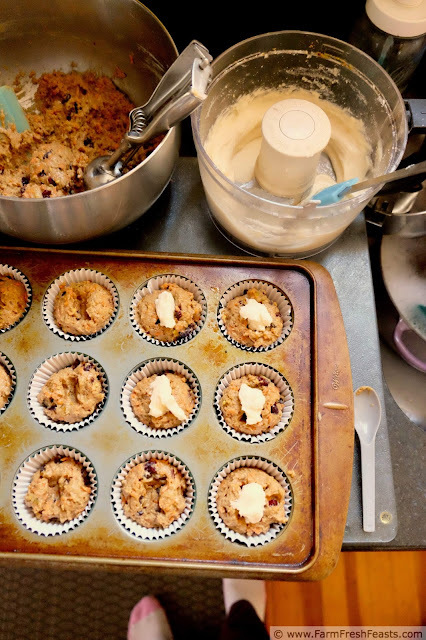 This recipe is elevated above my usual muffin because of the sweet cream cheese filling tucked inside, but it's still on the healthier side because I don't really want to send my kids off to school with a bunch of chocolate frosted sugar bombs in their bellies. 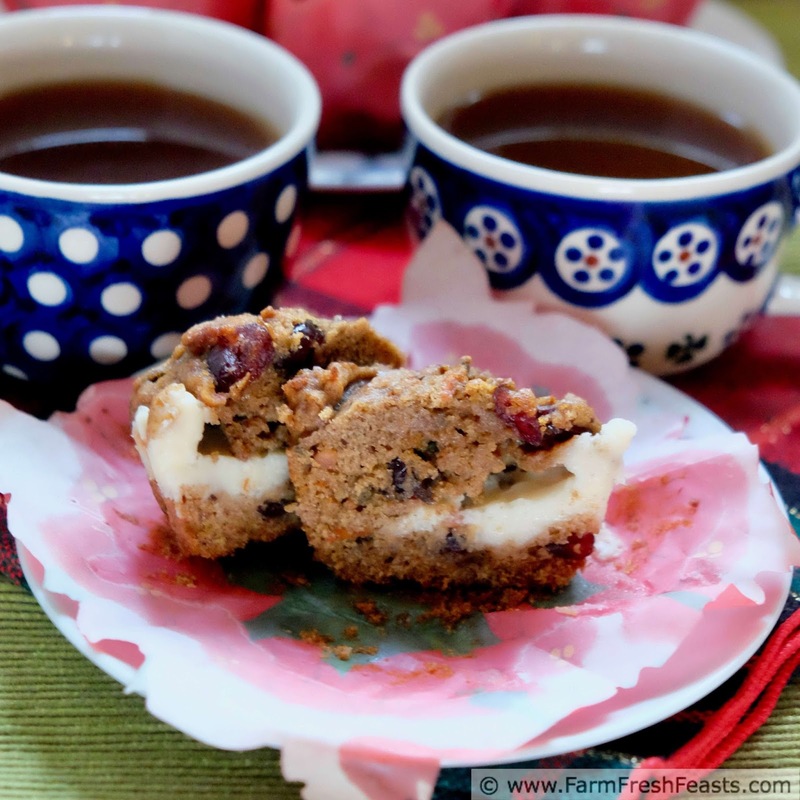 I made two batches of these muffins, trying different ways to include the sweetened cream cheese filling. The first way, shown below, was to scoop the usual amount of muffin batter into the prepared cup, then use a small spoon to create some space and spoon in the sweetened cream cheese. This technique did not turn out well. The cream cheese oozed out onto my pan and the muffins were hard to serve in a mounded heap because the cream cheese on the top of them was sticking to anything that landed atop it. The second effort worked better--I used a smaller scoop to put in about half the amount of batter, then spooned in the cream cheese and topped with the other half of the batter. Do not use this method. Also, yes, that's my feet. For more recipes using carrots, please see my Carrot Recipes Collection. It's part of the Visual Recipe Index by Ingredient, a resource for folks like me eating from the farm share, the farmer's market, the garden, the neighbor's garden, and great deals on ugly produce at the grocery store. This recipe is inspired by the Carrot Pineapple Muffin recipe of my beloved tattered muffin bible, Muffins, a cookbook by Joan and Marilyn. These ladies were classmates of my mom back in Canada in the 1950s, and their little spiral bound tome is a terrific resource for me. In a medium bowl, mix together the wet ingredients (the carrots, egg, vegetable oil, vanilla extract, brown sugar and yogurt). Stir in the dried cranberries. Set aside. In a large bowl, whisk together the dry ingredients (the flours, baking soda, baking powder, cinnamon and salt). Set aside. Using a food processor or a mixer, beat the cream cheese and the granulated sugar until well blended. Set aside. (You will have plenty of excess filling--add it to toast, or while whipping cream for a pie). Preheat the oven to 400 degrees Fahrenheit. Line a muffin pan with paper liners. 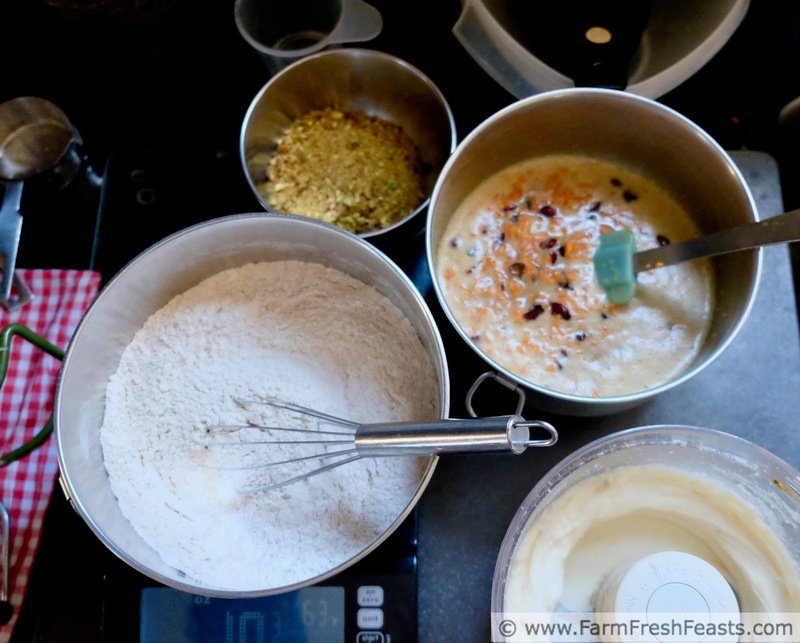 Pour the carrot mixture into the flour mixture and stir briefly. Add the pistachios, and stir until just blended. 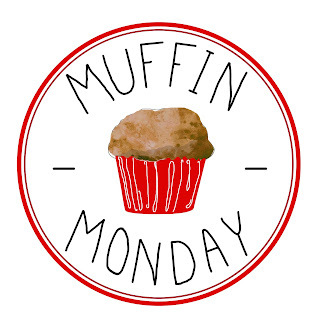 Scoop about 2 Tablespoons of batter into each muffin well. Top with a spoonful of cream cheese filling. Scoop another 2 Tablespoons of batter on top of the filling. Bake for 15 to 18 minutes until edges are lightly browned. Cool on a wire rack for 15 minutes. These were delicious both while still warm and as well as at room temperature the day after I made them. If my notes are a mess, it's because I was assembling the ingredients while simultaneously canning late season salsa. Love, love, love that filling! And that you have a store you can walk to. What great, special muffins, perfect for a holiday morning! How much fun to put in that cream cheese surprise. 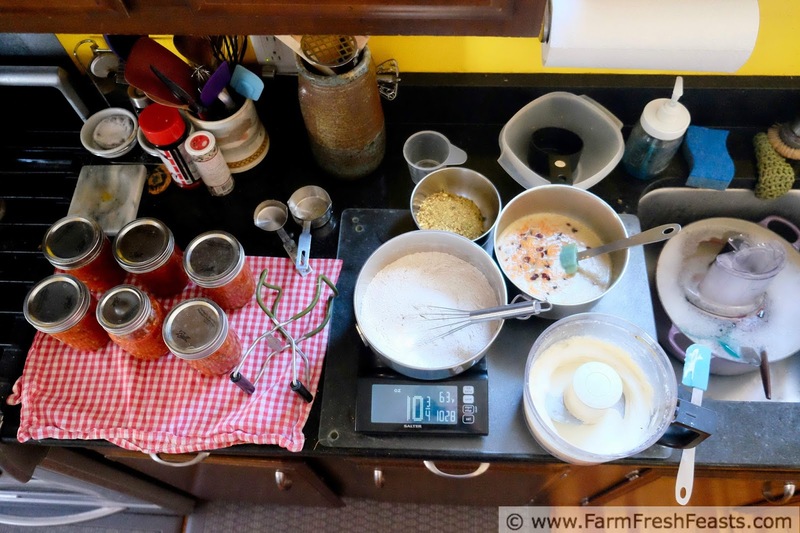 You do canning and make muffins at the same time? You are amazing. These look great, and good for you for taking two stabs and them. Love the muffin liners too. I am definitely saving this recipe! I'll have to save them for after Christmas though as my dad can't have nuts. But I think any time of year will be just fine for these beautiful muffins.